While it’s still technically the fall season, the first snowfall of the year hit the mountains of Greer, just a couple of days ago! Covering the area in beautiful white snow, the town became a charming winter wonderland, though expected to be a short spell this early in the season. Fall’s charming color of reds, yellows, and oranges still persist on the trees, making for a delightful spectacle as the weather continues to steer towards winter in Greer, AZ. 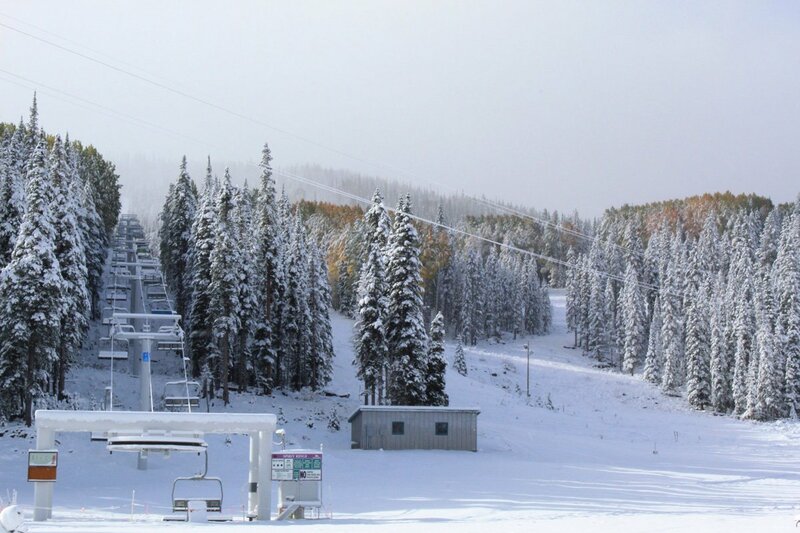 For those getting ready for Arizona’s ski season, we’ve got great news. 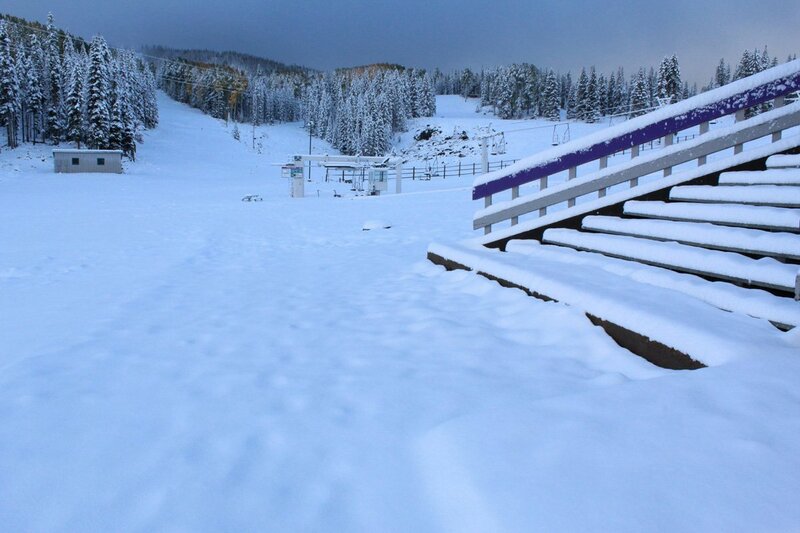 Sunrise Ski Park received 8” of snow during this week’s storm! 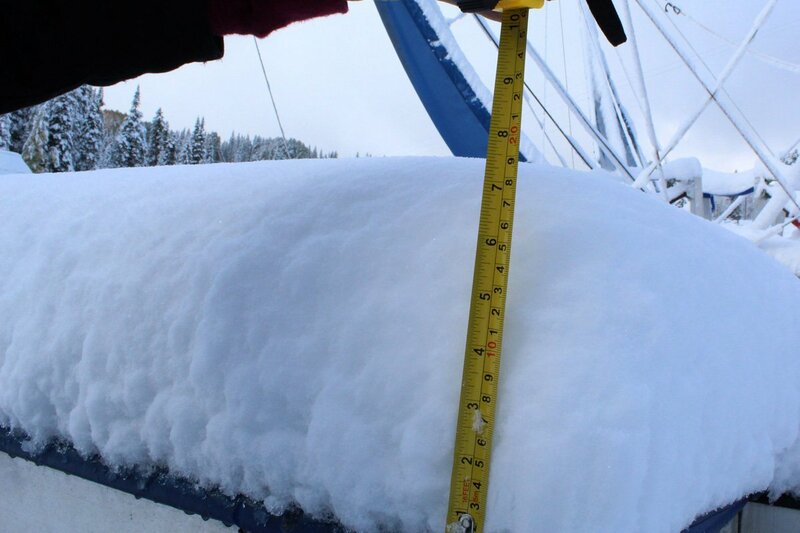 Here are some excellent photos of the snowfall from Monday, which beckons kindly towards a fun, powder-filled season of skiing on the mountain. With the first snowfall coming early this year, we can expect a white winter for the entire White Mountains area and Greer. For those seeking a bit of enjoyment in the snow, this is the perfect time to book a reservation for the upcoming Thanksgiving and Christmas/New Year’s holidays at the Greer Lodge Resort & Cabins! And if you’re hoping to catch the beautiful fall colors, you’d better hurry on up to Greer, as the early signs of winter are already approaching! 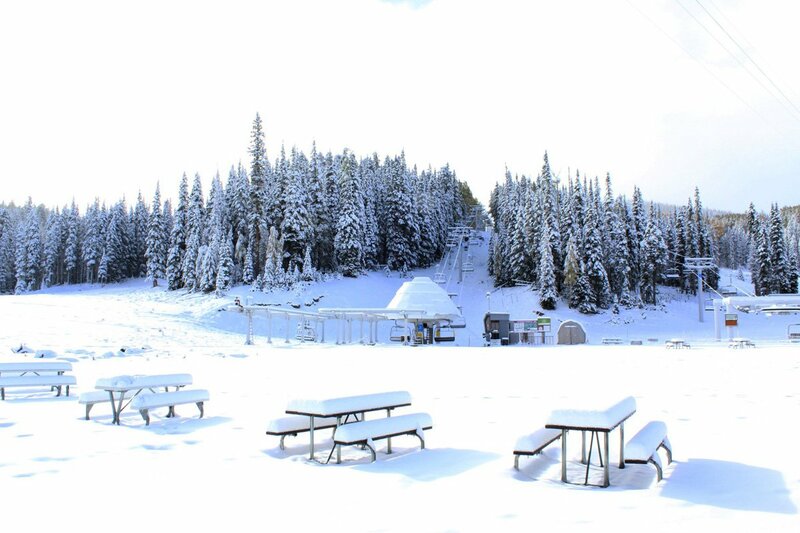 Photo credit: Sunrise Park Resort, October 2018.